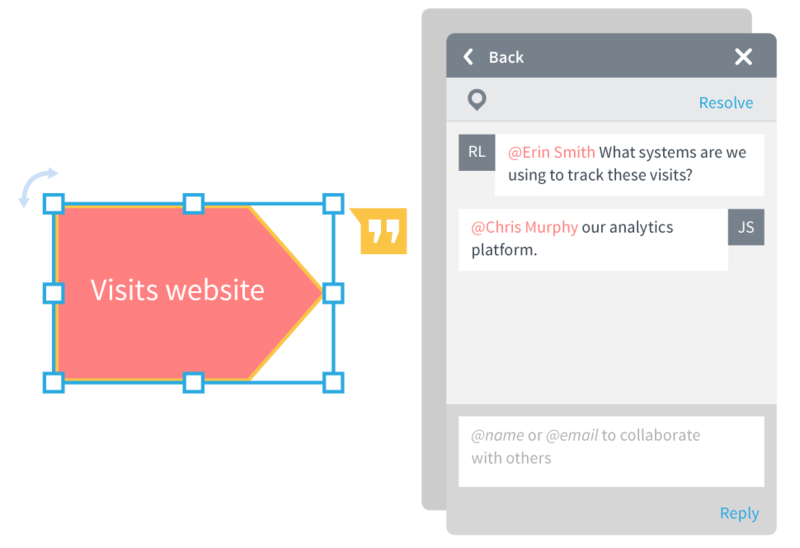 Turn your conversations from text to visuals with Lucidchart. 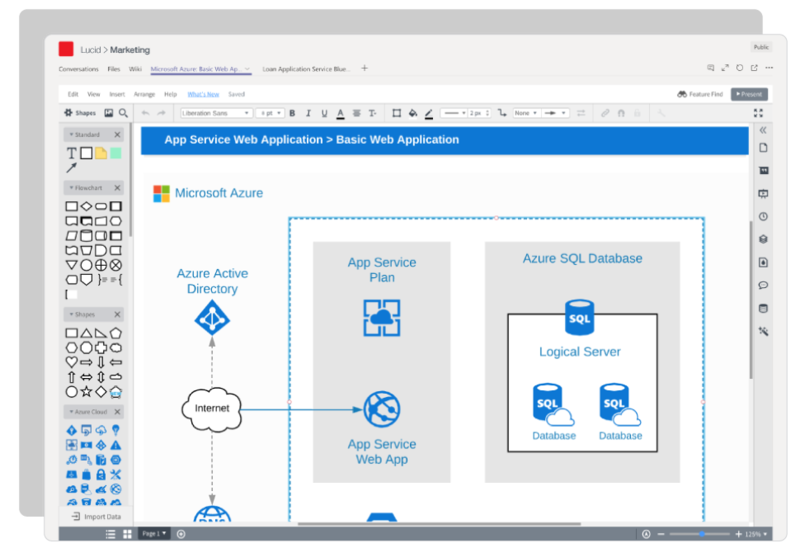 Our integration allows users to create and collaborate on diagrams without leaving the Teams interface. With this integration, you can add a Lucidchart document as a tab in your team channel, and anyone in the channel can edit or comment on your document. An embedded editor gives you the entire Lucidchart experience inside of a familiar interface. You can also set up a personal tab to access all your Lucidchart documents. Create clarity as you work visually—visuals can quickly convey the information your team members need to know. 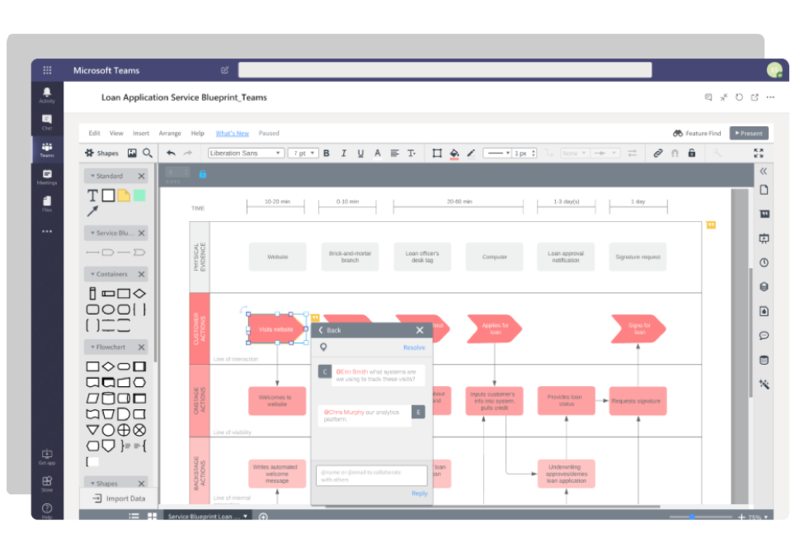 With the Lucidchart app for Microsoft Teams, you can build flowcharts, network diagrams, wireframes, mockups, org charts, and other visuals with others in real time to understand and share ideas, information, and processes. Especially as the modern workforce becomes more dispersed, Lucidchart makes it possible for teams to work together from any location, so you can get on the same page and innovate faster. Use in-editor commenting and @mention notifications to get feedback and approval on your ideas before you move forward. 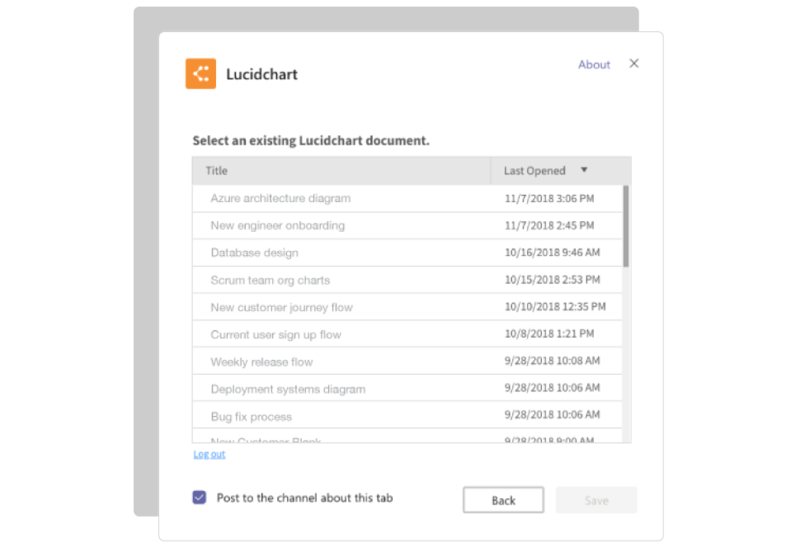 Go to our listing in the Microsoft App Store, or from Microsoft Teams, select the “Store” icon and search for Lucidchart. Install the app and connect to your Lucidchart account. Click “Add” to add Lucidchart to your apps.